Vagus nerve stimulation (VNS) was the first neuromodulation device approved for treatment of epilepsy. In more than 20 years of study, VNS has consistently demonstrated efficacy in treating epilepsy. After 2 years, approximately 50% of patients experience at least 50% reduced seizure frequency. Adverse events with VNS treatment are rare and include surgical adverse events (including infection, vocal cord paresis, and so forth) and stimulation side effects (hoarseness, voice change, and cough). Future developments in VNS, including closed-loop and noninvasive stimulation, may reduce side effects or increase efficacy of VNS. Focused ultrasound treatments use multiple ultrasound beams focused deep within the body to provide non-invasive, targeted therapy for a wide range of clinical applications. Now, researchers at The Ohio State University College of Medicine have begun a clinical trial investigating the use of transcranial focused ultrasound to control a specific type of epilepsy in which seizures are not controlled by medication. The study will enrol up to 10 patients with medication-refractory lobe focal onset epilepsy. Patients will receive MR-guided focused ultrasound through an intact skull to ablate tissue deep in the brain. The treatment works by passing 1024 ultrasound beams through the scalp, skull and brain tissue (without causing any harm) until they converge at a focal point to ablate a specific part of the brain involved in epilepsy. Earlier this month, a 58-year-old man became the first patient to be treated with focused ultrasound for epilepsy at Ohio State. During the three-hour surgery in an intraoperative MRI-surgical suite, he remained awake and alert, providing real-time feedback to the treatment team. His feedback helped the team safely ablate the brain region involved in spread of his epilepsy without causing undesirable side effects. After treatment, the research team plan to monitor all the patients closely for one year. They will use neurological exams and neuro-psychological exams to assess language, memory and executive functioning. Elizabeth Delacruz can’t crawl or toddle around like most youngsters nearing their second birthday. A rare metabolic disorder that decimated her mobility has also led to cortical blindness – her brain is unable to process images received from an otherwise healthy set of brown eyes. And multiple times a day Elizabeth suffers seizures that continually reduce her brain function. She can only offer an occasional smile or make soft bubbly sounds to communicate her mood. Ms. Mejia realizes it may also be the last, unless doctors can find a way to detect and prevent the epileptic seizures stemming from a terminal disease called pyruvate dehydrogenase deficiency (PDHD) – which occurs when mitochondria don’t provide enough energy for the cells. Although the prediction strategy cannot yet be used clinically – a mobile technology for measuring brain activity would have to be developed – it signifies a potential breakthrough in a field that had only been able to forecast seizures a few seconds ahead. The critical difference between the study and previous efforts was debunking the long-held belief among researchers that most cells in epilepsy patients have malfunctioning mitochondria. In fact, Dr. Pascual’s team spent a decade developing a PDHD mouse model that enabled them to first discover the key metabolic defect in the brain and then determine only a single neuron type was responsible for seizures as the result of the metabolic defect. They honed in on these neurons’ electrical activity with an electroencephalogram (EEG) to detect which brainwave readings signaled an upcoming seizure. The study shows how a PDHD mouse model helped scientists trace the seizures to inhibitory neurons near the cortex that normally keep the brain’s electrical activity in check. Dr. Pascual is hopeful his lab can refine EEG analyses to extend the warning window by several more minutes. Even then, live, clinical predictions won’t be feasible unless scientists develop technology to automatically interpret the brain activity and calculate when a seizure is imminent. Dr. Pascual’s ongoing efforts to extend the prediction time may be a crucial step in utilizing the other intriguing finding from the study: the use of acetate to prevent seizures. The study showed that delivering acetate into the blood stream of PDHD mice gave their neurons enough energy to normalize their activity and decrease seizures for as long as the acetate was in the brain. However, Dr. Pascual said the acetate would probably need more time – perhaps 10 minutes or more – to take effect in humans if taken by mouth. 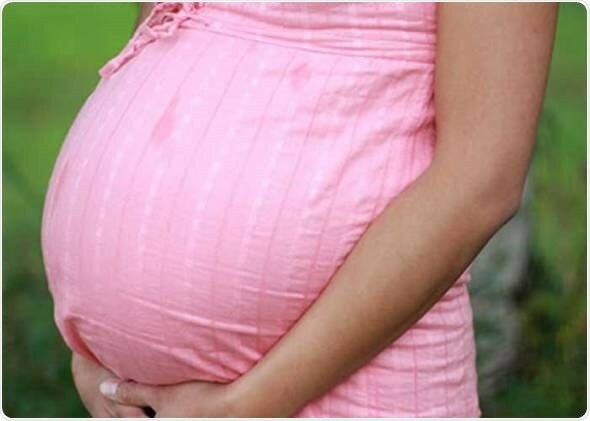 Acetate, which naturally occurs in some foods, has been used in patients for decades – including newborns needing intravenous nutrition or patients whose metabolism has shut down. But it had not yet been established as an effective treatment for mitochondrial diseases that underlie epilepsy. Elizabeth, among a handful of patients whose EEG data were used in the new study, has been prescribed a ketogenic diet and some vitamins to control the seizures. Her family has seen little improvement. Elizabeth often has more than a dozen seizures a day and her muscles and cognition continue to decline. She can’t hold her head up and her mother wonders how many more seizures her brain can take. Elizabeth was only a few months old when she was diagnosed with PDHD, which occurs when cells lack certain enzymes to efficiently convert food into energy. Patients who show such early signs often don’t survive beyond a few years. Ms. Mejia does what she can to comfort her daughter, with the hope that Dr. Pascual’s work can someday change the prognosis for PDHD. Ms. Mejia sings, talks, and offers stuffed animals and other toys to her daughter. Although her little girl can’t see, the objects offer a degree of mental stimulation, she said. His lab is also researching other epilepsy conditions – such as glucose transporter type I (Glut1) deficiency – to determine if inhibitory neurons in other parts of the brain are responsible for seizures. If so, the findings could provide strong evidence for where scientists should look in the brain to detect and prevent misfiring neurons. Epilepsy is a neurological disorder afflicting ~65 million people worldwide. It is caused by aberrant synchronized firing of populations of neurons primarily due to imbalance between excitatory and inhibitory neurotransmission. Hence, the historical focus of epilepsy research has been neurocentric. However, the past two decades have enjoyed an explosion of research into the role of glia in supporting and modulating neuronal activity, providing compelling evidence of glial involvement in the pathophysiology of epilepsy. The mechanisms by which glia, particularly astrocytes and microglia, may contribute to epilepsy and consequently could be harnessed therapeutically are discussed in this Review. Sontheimer, H. Diseases of the Nervous System 61–95 (Elsevier, 2015). Fisher, R. S. et al. ILAE official report: a practical clinical definition of epilepsy. Epilepsia 55, 475–482 (2014). Kaplan, D. I., Isom, L. L. & Petrou, S. Role of sodium channels in epilepsy. Cold Spring Harb. Perspect. Med. 6, a022814 (2016). Loscher, W., Hirsch, L. J. & Schmidt, D. The enigma of the latent period in the development of symptomatic acquired epilepsy – traditional view versus new concepts. Epilepsy Behav. 52, 78–92 (2015). Sofroniew, M. V. Astrogliosis. Cold Spring Harb. Perspect. Biol. 7, a020420 (2014). Vezzani, A., French, J., Bartfai, T. & Baram, T. Z. The role of inflammation in epilepsy. Nat. Rev. Neurol. 7, 31–40 (2011). van Vliet, E. A. et al. Blood-brain barrier leakage may lead to progression of temporal lobe epilepsy. Brain130, 521–534 (2007). Dingledine, R., Varvel, N. H. & Dudek, F. E. When and how do seizures kill neurons, and is cell death relevant to epileptogenesis? Adv. Exp. Med. Biol. 813, 109–122 (2014). Jessberger, S. & Parent, J. M. Epilepsy and adult neurogenesis. Cold Spring Harb. Perspect. Biol. 7, a020677 (2015). Goldberg, E. M. & Coulter, D. A. Mechanisms of epileptogenesis: a convergence on neural circuit dysfunction. Nat. Rev. Neurosci. 14, 337–349 (2013). Devinsky, O., Vezzani, A., Najjar, S., De Lanerolle, N. C. & Rogawski, M. A. Glia and epilepsy: excitability and inflammation. Trends Neurosci. 36, 174–184 (2013). Kim, S. Y., Porter, B. E., Friedman, A. & Kaufer, D. A potential role for glia-derived extracellular matrix remodeling in postinjury epilepsy. J. Neurosci. Res.94, 794–803 (2016). Hauser, R. M., Henshall, D. C. & Lubin, F. D. The epigenetics of epilepsy and its progression. Neuroscientist 24, 186–200 (2018). Silver, J. & Miller, J. H. Regeneration beyond the glial scar. Nat. Rev. Neurosci. 5, 146–156 (2004). Robel, S. et al. Reactive astrogliosis causes the development of spontaneous seizures. J. Neurosci.35, 3330–3345 (2015).This study shows that genetically induced astrogliosis is sufficient to cause epileptic seizures in mice without any other CNS pathologies. Ortinski, P. I. et al. Selective induction of astrocytic gliosis generates deficits in neuronal inhibition. Nat. Neurosci. 13, 584–591 (2010).This study demonstrates that selective induction of astrogliosis in mice using a virus is sufficient to cause network hyperexcitability by impairing neuronal inhibition. Uhlmann, E. J. et al. Astrocyte-specific TSC1 conditional knockout mice exhibit abnormal neuronal organization and seizures. Ann. Neurol. 52, 285–296 (2002). Sosunov, A. A. et al. Phenotypic conversions of “protoplasmic” to “reactive” astrocytes in Alexander disease. J. Neurosci. 33, 7439–7450 (2013). Messing, A., Brenner, M., Feany, M. B., Nedergaard, M. & Goldman, J. E. Alexander disease. J. Neurosci.32, 5017–5023 (2012). Rossini, L. et al. Seizure activity per se does not induce tissue damage markers in human neocortical focal epilepsy. Ann. Neurol. 82, 331–341 (2017). Buckmaster, P. S., Abrams, E. & Wen, X. Seizure frequency correlates with loss of dentate gyrus GABAergic neurons in a mouse model of temporal lobe epilepsy. J. Comp. Neurol. 525, 2592–2610 (2017). Moody, W. J., Futamachi, K. J. & Prince, D. A. Extracellular potassium activity during epileptogenesis. Exp. Neurol. 42, 248–263 (1974). Heinemann, U. & Lux, H. D. Ceiling of stimulus induced rises in extracellular potassium concentration in the cerebral cortex of cat. Brain Res. 120, 231–249 (1977). Coulter, D. A. & Steinhauser, C. Role of astrocytes in epilepsy. Cold Spring Harb. Perspect. Med. 5, a022434 (2015). Traynelis, S. F. & Dingledine, R. Potassium-induced spontaneous electrographic seizures in the rat hippocampal slice. J. Neurophysiol. 59, 259–276 (1988). Gabriel, S. et al. Stimulus and potassium-induced epileptiform activity in the human dentate gyrus from patients with and without hippocampal sclerosis. J. Neurosci. 24, 10416–10430 (2004). Olsen, M. L. & Sontheimer, H. Functional implications for Kir4.1 channels in glial biology: from K+ buffering to cell differentiation. J. Neurochem.107, 589–601 (2008). Steinhauser, C., Seifert, G. & Bedner, P. Astrocyte dysfunction in temporal lobe epilepsy: K+ channels and gap junction coupling. Glia 60, 1192–1202 (2012). Heuser, K. et al. Loss of perivascular Kir4.1 potassium channels in the sclerotic hippocampus of patients with mesial temporal lobe epilepsy. J. Neuropathol. Exp. Neurol. 71, 814–825 (2012). Hinterkeuser, S. et al. Astrocytes in the hippocampus of patients with temporal lobe epilepsy display changes in potassium conductances. Eur. J. Neurosci. 12, 2087–2096 (2000). Djukic, B., Casper, K. B., Philpot, B. D., Chin, L. S. & McCarthy, K. D. Conditional knock-out of Kir4.1 leads to glial membrane depolarization, inhibition of potassium and glutamate uptake, and enhanced short-term synaptic potentiation. J. Neurosci. 27, 11354–11365 (2007). Buono, R. J. et al. Association between variation in the human KCNJ10 potassium ion channel gene and seizure susceptibility. Epilepsy Res. 58, 175–183 (2004). Ferraro, T. N. et al. Fine mapping of a seizure susceptibility locus on mouse chromosome 1: nomination of Kcnj10 as a causative gene. Mamm. Genome 15, 239–251 (2004). Kucheryavykh, Y. V. et al. Downregulation of Kir4.1 inward rectifying potassium channel subunits by RNAi impairs potassium transfer and glutamate uptake by cultured cortical astrocytes. Glia 55, 274–281 (2007). Doyon, N., Vinay, L., Prescott, S. A. & De Koninck, Y. Chloride regulation: a dynamic equilibrium crucial for synaptic inhibition. Neuron 89, 1157–1172 (2016). Moore, Y. E., Kelley, M. R., Brandon, N. J., Deeb, T. Z. & Moss, S. J. Seizing control of KCC2: a new therapeutic target for epilepsy. Trends Neurosci. 40, 555–571 (2017). Lee, H. H., Deeb, T. Z., Walker, J. A., Davies, P. A. & Moss, S. J. NMDA receptor activity downregulates KCC2 resulting in depolarizing GABAA receptor-mediated currents. Nat. Neurosci. 14, 736–743 (2011). Rivera, C. et al. BDNF-induced TrkB activation down-regulates the K+-Cl− cotransporter KCC2 and impairs neuronal Cl− extrusion. J. Cell Biol. 159, 747–752 (2002). Papadopoulos, M. C. & Verkman, A. S. Aquaporin water channels in the nervous system. Nat. Rev. : Neurosci. 14, 265–277 (2013). Binder, D. K., Nagelhus, E. A. & Ottersen, O. P. Aquaporin-4 and epilepsy. Glia 60, 1203–1214 (2012). Solenov, E., Watanabe, H., Manley, G. T. & Verkman, A. S. Sevenfold-reduced osmotic water permeability in primary astrocyte cultures from AQP-4-deficient mice, measured by a fluorescence quenching method. Am. J. Physiol. 286, C426–C432 (2004). Nicchia, G. P., Frigeri, A., Liuzzi, G. M. & Svelto, M. Inhibition of aquaporin-4 expression in astrocytes by RNAi determines alteration in cell morphology, growth, and water transport and induces changes in ischemia-related genes. FASEB J. 17, 1508–1510 (2003). Vajda, Z. et al. Delayed onset of brain edema and mislocalization of aquaporin-4 in dystrophin-null transgenic mice. Proc. Natl Acad. Sci. USA 99, 13131–13136 (2002). Neely, J. D. et al. Syntrophin-dependent expression and localization of Aquaporin-4 water channel protein. Proc. Natl Acad. Sci. USA 98, 14108–14113 (2001). Nagelhus, E. A., Mathiisen, T. M. & Ottersen, O. P. Aquaporin-4 in the central nervous system: cellular and subcellular distribution and coexpression with KIR4.1. Neuroscience 129, 905–913 (2004). Hochman, D. W. The extracellular space and epileptic activity in the adult brain: explaining the antiepileptic effects of furosemide and bumetanide. Epilepsia 53 (Suppl. 1), 18–25 (2012). Amiry-Moghaddam, M. et al. Delayed K+ clearance associated with aquaporin-4 mislocalization: phenotypic defects in brains of alpha-syntrophin-null mice. Proc. Natl Acad. Sci. USA 100, 13615–13620 (2003). Binder, D. K. et al. Increased seizure duration and slowed potassium kinetics in mice lacking aquaporin-4 water channels. Glia 53, 631–636 (2006). Giaume, C., Koulakoff, A., Roux, L., Holcman, D. & Rouach, N. Astroglial networks: a step further in neuroglial and gliovascular interactions. Nat. Rev. Neurosci. 11, 87–99 (2010). Mylvaganam, S., Ramani, M., Krawczyk, M. & Carlen, P. L. Roles of gap junctions, connexins, and pannexins in epilepsy. Frontiers Physiol. 5, 172 (2014). Deshpande, T. et al. Subcellular reorganization and altered phosphorylation of the astrocytic gap junction protein connexin43 in human and experimental temporal lobe epilepsy. Glia 65, 1809–1820 (2017). Bedner, P. et al. Astrocyte uncoupling as a cause of human temporal lobe epilepsy. Brain 138, 1208–1222 (2015). Voss, L. J., Jacobson, G., Sleigh, J. W., Steyn-Ross, A. & Steyn-Ross, M. Excitatory effects of gap junction blockers on cerebral cortex seizure-like activity in rats and mice. Epilepsia 50, 1971–1978 (2009). During, M. J. & Spencer, D. D. Extracellular hippocampal glutamate and spontaneous seizure in the conscious human brain. Lancet 341, 1607–1610 (1993). Eid, T., Williamson, A., Lee, T. S., Petroff, O. A. & de Lanerolle, N. C. Glutamate and astrocytes—key players in human mesial temporal lobe epilepsy? Epilepsia 49 (Suppl. 2), 42–52 (2008). Schousboe, A., Scafidi, S., Bak, L. K., Waagepetersen, H. S. & McKenna, M. C. Glutamate metabolism in the brain focusing on astrocytes. Adv. Neurobiol. 11, 13–30 (2014). Vandenberg, R. J. & Ryan, R. M. Mechanisms of glutamate transport. Physiol. Rev. 93, 1621–1657 (2013). Tanaka, K. et al. Epilepsy and exacerbation of brain injury in mice lacking the glutamate transporter GLT-1. Science 276, 1699–1702 (1997).This is the first study to show that the homozygous knockout of GLT1 in mice causes lethal spontaneous seizures. Kong, Q. et al. Increased glial glutamate transporter EAAT2 expression reduces epileptogenic processes following pilocarpine-induced status epilepticus. Neurobiol. Dis. 47, 145–154 (2012). Rothstein, J. D. et al. Beta-lactam antibiotics offer neuroprotection by increasing glutamate transporter expression. Nature 433, 73–77 (2005). Zeng, L. H., Bero, A. W., Zhang, B., Holtzman, D. M. & Wong, M. Modulation of astrocyte glutamate transporters decreases seizures in a mouse model of tuberous sclerosis complex. Neurobiol. Dis. 37, 764–771 (2010). Sha, L. et al. Pharmacologic inhibition of Hsp90 to prevent GLT-1 degradation as an effective therapy for epilepsy. J. Exp. Med. 214, 547–563 (2017). Campbell, S. L., Hablitz, J. J. & Olsen, M. L. Functional changes in glutamate transporters and astrocyte biophysical properties in a rodent model of focal cortical dysplasia. Front. Cell. Neurosci. 8, 425 (2014). Campbell, S. L. & Hablitz, J. J. Decreased glutamate transport enhances excitability in a rat model of cortical dysplasia. Neurobiol. Dis. 32, 254–261 (2008). Eid, T. et al. Loss of glutamine synthetase in the human epileptogenic hippocampus: possible mechanism for raised extracellular glutamate in mesial temporal lobe epilepsy. Lancet 363, 28–37 (2004).This study establishes a key role of GS in astrocytes for maintaining an optimal level of extracellular glutamate through the glutamate–glutamine cycle. van der Hel, W. S. et al. Reduced glutamine synthetase in hippocampal areas with neuron loss in temporal lobe epilepsy. Neurology 64, 326–333 (2005). Eid, T. et al. Recurrent seizures and brain pathology after inhibition of glutamine synthetase in the hippocampus in rats. Brain 131, 2061–2070 (2008). Jiang, E., Yan, X. & Weng, H. R. Glial glutamate transporter and glutamine synthetase regulate GABAergic synaptic strength in the spinal dorsal horn. J. Neurochem. 121, 526–536 (2012). Kaczor, P., Rakus, D. & Mozrzymas, J. W. Neuron-astrocyte interaction enhance GABAergic synaptic transmission in a manner dependent on key metabolic enzymes. Front. Cell. Neurosci. 9, 120 (2015). Magistretti, P. J. & Allaman, I. A cellular perspective on brain energy metabolism and functional imaging. Neuron 86, 883–901 (2015). Pellerin, L. & Magistretti, P. J. Sweet sixteen for ANLS. J. Cereb. Blood Flow Metab. 32, 1152–1166 (2012). Gano, L. B., Patel, M. & Rho, J. M. Ketogenic diets, mitochondria, and neurological diseases. J. Lipid Res.55, 2211–2228 (2014). Sada, N., Lee, S., Katsu, T., Otsuki, T. & Inoue, T. Epilepsy treatment. Targeting LDH enzymes with a stiripentol analog to treat epilepsy. Science 347, 1362–1367 (2015). Verkhratsky, A. & Nedergaard, M. Physiology of astroglia. Physiol. Rev. 98, 239–389 (2017). Tyzack, G. E. et al. Astrocyte response to motor neuron injury promotes structural synaptic plasticity via STAT3-regulated TSP-1 expression. Nat. Commun. 5, 4294 (2014). Andresen, L. et al. Gabapentin attenuates hyperexcitability in the freeze-lesion model of developmental cortical malformation. Neurobiol. Dis.71, 305–316 (2014). Neniskyte, U. & Gross, C. T. Errant gardeners: glial-cell-dependent synaptic pruning and neurodevelopmental disorders. Nat. Rev. Neurosci.18, 658 (2017). Stevens, B. et al. The classical complement cascade mediates CNS synapse elimination. Cell 131, 1164–1178 (2007).This study demonstrates that astrocytes regulate complement-mediated synaptic pruning by phagocytic microglia. Chu, Y. et al. Enhanced synaptic connectivity and epilepsy in C1q knockout mice. Proc. Natl Acad. Sci. USA 107, 7975–7980 (2010). Clarke, L. E. & Barres, B. A. Emerging roles of astrocytes in neural circuit development. Nat. Rev. Neurosci. 14, 311–321 (2013). Aronica, E. et al. Complement activation in experimental and human temporal lobe epilepsy. Neurobiol. Dis. 26, 497–511 (2007). Hughes, E. G., Elmariah, S. B. & Balice-Gordon, R. J. Astrocyte secreted proteins selectively increase hippocampal GABAergic axon length, branching, and synaptogenesis. Mol. Cell. Neurosci. 43, 136–145 (2010). Eroglu, C. & Barres, B. A. Regulation of synaptic connectivity by glia. Nature 468, 223–231 (2010). Schafer, D. P. et al. Microglia contribute to circuit defects in Mecp2 null mice independent of microglia-specific loss of Mecp2 expression. eLife 5, e15224 (2016). Tian, G.-F. et al. An astrocytic basis of epilepsy. Nat. Med. 11, 973 (2005).This is the first study to show that glutamate released from astrocytes induces neuronal firing and seizure activity. Clasadonte, J. & Haydon, P. G. in Jasper’s Basic Mechanisms of the Epilepsies (eds Noebels, J. L., Avoli, M., Rogawski, M. A., Olsen, R. W. & Delgado-Escueta, A. V.) (National Center for Biotechnology Information (US), 2012). Kang, N., Xu, J., Xu, Q., Nedergaard, M. & Kang, J. Astrocytic glutamate release-induced transient depolarization and epileptiform discharges in hippocampal CA1 pyramidal neurons. J. Neurophysiol.94, 4121–4130 (2005). Fellin, T., Gomez-Gonzalo, M., Gobbo, S., Carmignoto, G. & Haydon, P. G. Astrocytic glutamate is not necessary for the generation of epileptiform neuronal activity in hippocampal slices. J. Neurosci.26, 9312–9322 (2006). Robert, S. M. et al. SLC7A11 expression is associated with seizures and predicts poor survival in patients with malignant glioma. Sci. Transl Med. 7, 289ra86 (2015). Buckingham, S. C. et al. Glutamate release by primary brain tumors induces epileptic activity. Nat. Med. 17, 1269–1274 (2011). Tewari, B. P. et al. Perineuronal nets decrease membrane capacitance of peritumoral fast spiking interneurons in a model of epilepsy. Nat. Commun.9, 4724 (2018). Campbell, S. L. et al. GABAergic disinhibition and impaired KCC2 cotransporter activity underlie tumor-associated epilepsy. Glia 63, 23–36 (2015). Pallud, J. et al. Cortical GABAergic excitation contributes to epileptic activities around human glioma. Sci. Transl Med. 6, 244ra89 (2014). Boison, D. Adenosinergic signaling in epilepsy. Neuropharmacology 104, 131–139 (2016). Bowser, D. N. & Khakh, B. S. ATP excites interneurons and astrocytes to increase synaptic inhibition in neuronal networks. J. Neurosci. 24, 8606 (2004). Zhang, J.-M. et al. ATP released by astrocytes mediates glutamatergic activity-dependent heterosynaptic suppression. Neuron 40, 971–982 (2003). Gomes, C. V., Kaster, M. P., Tomé, A. R., Agostinho, P. M. & Cunha, R. A. Adenosine receptors and brain diseases: neuroprotection and neurodegeneration. Biochim. Biophys. Acta 1808, 1380–1399 (2011). During, M. J. & Spencer, D. D. Adenosine: a potential mediator of seizure arrest and postictal refractoriness. Ann. Neurol. 32, 618–624 (1992). Aronica, E. et al. Upregulation of adenosine kinase in astrocytes in experimental and human temporal lobe epilepsy. Epilepsia 52, 1645–1655 (2011). McRae, P. A., Baranov, E., Rogers, S. L. & Porter, B. E. Persistent decrease in multiple components of the perineuronal net following status epilepticus. Eur. J. Neurosci. 36, 3471–3482 (2012). Dityatev, A. & Fellin, T. Extracellular matrix in plasticity and epileptogenesis. Neuron Glia Biol. 4, 235–247 (2008). Dityatev, A. Remodeling of extracellular matrix and epileptogenesis. Epilepsia 51, 61–65 (2010). Dubey, D. et al. Increased metalloproteinase activity in the hippocampus following status epilepticus. Epilepsy Res. 132, 50–58 (2017). Mizoguchi, H. & Yamada, K. Roles of matrix metalloproteinases and their targets in epileptogenesis and seizures. Clin. Psychopharmacol. Neurosci. 11, 45 (2013). Pollock, E., Everest, M., Brown, A. & Poulter, M. O. Metalloproteinase inhibition prevents inhibitory synapse reorganization and seizure genesis. Neurobiol. Dis. 70, 21–31 (2014). Arranz, A. M. et al. Hyaluronan deficiency due to Has3 knock-out causes altered neuronal activity and seizures via reduction in brain extracellular space. J. Neurosci. 34, 6164–6176 (2014).This study reports the first direct evidence for the development of seizures due to degradation of the ECM. Rempe, R. G. et al. Matrix metalloproteinase-mediated blood-brain barrier dysfunction in epilepsy. J. Neurosci. 38, 4301–4315 (2018). Rankin-Gee, E. K. et al. Perineuronal net degradation in epilepsy. Epilepsia 56, 1124–1133 (2015). Kochlamazashvili, G. et al. The extracellular matrix molecule hyaluronic acid regulates hippocampal synaptic plasticity by modulating postsynaptic L-type Ca2+ channels. Neuron 67, 116–128 (2010). Favuzzi, E. et al. Activity-dependent gating of parvalbumin interneuron function by the perineuronal net protein brevican. Neuron 95, 639–655 (2017). Srinivasan, J., Schachner, M. & Catterall, W. A. Interaction of voltage-gated sodium channels with the extracellular matrix molecules tenascin-C and tenascin-R. Proc. Natl Acad. Sci. USA 95, 15753–15757 (1998). Frischknecht, R. et al. Brain extracellular matrix affects AMPA receptor lateral mobility and short-term synaptic plasticity. Nat. Neurosci. 12, 897–904 (2009).This is one of the first studies to explain the molecular mechanism of ECM-regulated synaptic plasticity. Balmer, T. S. Perineuronal nets enhance the excitability of fast-spiking neurons. eNeurohttps://doi.org/10.1523/ENEURO.0112-16.2016(2016). Morawski, M. et al. Ion exchanger in the brain: quantitative analysis of perineuronally fixed anionic binding sites suggests diffusion barriers with ion sorting properties. Sci. Rep. 5, 16471 (2015). Härtig, W. et al. Cortical neurons immunoreactive for the potassium channel Kv3. 1b subunit are predominantly surrounded by perineuronal nets presumed as a buffering system for cations. Brain Res. 842, 15–29 (1999). Glykys, J. et al. Local impermeant anions establish the neuronal chloride concentration. Science 343, 670–675 (2014).This is one of the first studies to show the regulation of neuronal chloride homeostasis by the ECM. Zamanian, J. L. et al. Genomic analysis of reactive astrogliosis. J. Neurosci. 32, 6391–6410 (2012). Struve, J. et al. Disruption of the hyaluronan-based extracellular matrix in spinal cord promotes astrocyte proliferation. Glia 52, 16–24 (2005). Ye, Z.-C. & Sontheimer, H. Modulation of glial glutamate transport through cell interactions with the extracellular matrix. Int. J. Dev. Neurosci. 20, 209–217 (2002). Guadagno, E. & Moukhles, H. Laminin-induced aggregation of the inwardly rectifying potassium channel, Kir4. 1, and the water-permeable channel, AQP4, via a dystroglycan-containing complex in astrocytes. Glia 47, 138–149 (2004). Seiffert, E. et al. Lasting blood-brain barrier disruption induces epileptic focus in the rat somatosensory cortex. J. Neurosci. 24, 7829–7836 (2004).This study provides the first direct evidence that BBB disruption contributes to epileptogenesis. Ivens, S. et al. TGF-β receptor-mediated albumin uptake into astrocytes is involved in neocortical epileptogenesis. Brain 130, 535–547 (2007).This study demonstrates the epileptogenic role of serum albumin and the TGFβ signalling in astrocytes following BBB disruption. Kim, S. Y., Buckwalter, M., Soreq, H., Vezzani, A. & Kaufer, D. Blood-brain barrier dysfunction-induced inflammatory signaling in brain pathology and epileptogenesis. Epilepsia 53 (Suppl. 6), 37–44 (2012). Weissberg, I. et al. Albumin induces excitatory synaptogenesis through astrocytic TGF-β/ALK5 signaling in a model of acquired epilepsy following blood-brain barrier dysfunction. Neurobiol. Dis. 78, 115–125 (2015). Salar, S. et al. Blood-brain barrier dysfunction can contribute to pharmacoresistance of seizures. Epilepsia 55, 1255–1263 (2014). Kim, S. Y. et al. TGFβ signaling is associated with changes in inflammatory gene expression and perineuronal net degradation around inhibitory neurons following various neurological insults. Sci. Rep. 7, 7711 (2017). Bar-Klein, G. et al. Losartan prevents acquired epilepsy via TGF-β signaling suppression. Ann. Neurol. 75, 864–875 (2014). Yang, Y., Estrada, E. Y., Thompson, J. F., Liu, W. & Rosenberg, G. A. Matrix metalloproteinase-mediated disruption of tight junction proteins in cerebral vessels is reversed by synthetic matrix metalloproteinase inhibitor in focal ischemia in rat. J. Cereb. Blood Flow Metab. 27, 697–709 (2007).This study provides direct evidence that MMPs impair the integrity of the BBB by degrading tight junction proteins. Feng, S. et al. Matrix metalloproteinase-2 and -9 secreted by leukemic cells increase the permeability of blood-brain barrier by disrupting tight junction proteins. PLOS ONE 6, e20599 (2011). Djerbal, L., Lortat-Jacob, H. & Kwok, J. Chondroitin sulfates and their binding molecules in the central nervous system. Glycoconj. J. 34, 363–376 (2017). Pizzorusso, T. et al. Reactivation of ocular dominance plasticity in the adult visual cortex. Science 298, 1248–1251 (2002).This is the first study to demonstrate the functional role of PNNs in the visual cortex as a determinant of experience-dependent plasticity. Engel, T., Alves, M., Sheedy, C. & Henshall, D. C. ATPergic signalling during seizures and epilepsy. Neuropharmacology 104, 140–153 (2016). Cacheaux, L. P. et al. Transcriptome profiling reveals TGF-β signaling involvement in epileptogenesis. J. Neurosci. 29, 8927–8935 (2009). Dzyubenko, E., Gottschling, C. & Faissner, A. Neuron-glia interactions in neural plasticity: contributions of neural extracellular matrix and perineuronal nets. Neural Plast. 2016, 5214961 (2016). Naffah-Mazzacoratti, M. et al. Selective alterations of glycosaminoglycans synthesis and proteoglycan expression in rat cortex and hippocampus in pilocarpine-induced epilepsy. Brain Res. Bull. 50, 229–239 (1999). Gottschall, P. E. & Howell, M. D. ADAMTS expression and function in central nervous system injury and disorders. Matrix Biol. 44, 70–76 (2015). Mataga, N., Mizuguchi, Y. & Hensch, T. K. Experience-dependent pruning of dendritic spines in visual cortex by tissue plasminogen activator. Neuron 44, 1031–1041 (2004). Bast, T., Ramantani, G., Seitz, A. & Rating, D. Focal cortical dysplasia: prevalence, clinical presentation and epilepsy in children and adults. Acta Neurol. Scand. 113, 72–81 (2006). Iseki, K. et al. Increased syndecan expression by pleiotrophin and FGF receptor-expressing astrocytes in injured brain tissue. Glia 39, 1–9 (2002). Hoffmann, K. et al. Retarded kindling progression in mice deficient in the extracellular matrix glycoprotein tenascin-R. Epilepsia 50, 859–869 (2009). Muir, E. et al. Matrix metalloproteases and their inhibitors are produced by overlapping populations of activated astrocytes. Mol. Brain Res. 100, 103–117 (2002). Wilczynski, G. M. et al. Important role of matrix metalloproteinase 9 in epileptogenesis. J. Cell Biol.180, 1021–1035 (2008). Kochlamazashvili, G. et al. The extracellular matrix molecule hyaluronic acid regulates hippocampal synaptic plasticity by modulating postsynaptic L-type Ca 2+ channels. Neuron 67, 116–128 (2010). Evers, M. R. et al. Impairment of L-type Ca2+channel-dependent forms of hippocampal synaptic plasticity in mice deficient in the extracellular matrix glycoprotein tenascin-C. J. Neurosci. 22, 7177–7194 (2002). Konopka, A. et al. Cleavage of hyaluronan and CD44 adhesion molecule regulate astrocyte morphology via Rac1 signalling. PLOS ONE 11, e0155053 (2016). Perosa, S. et al. Glycosaminoglycan levels and proteoglycan expression are altered in the hippocampus of patients with mesial temporal lobe epilepsy. Brain Res. Bull. 58, 509–516 (2002). Jones, E. V. & Bouvier, D. S. Astrocyte-secreted matricellular proteins in CNS remodelling during development and disease. Neural Plast. 2014, 321209 (2014). Lu, P., Takai, K., Weaver, V. M. & Werb, Z. Extracellular matrix degradation and remodeling in development and disease. Cold Spring Harb. Perspect. Biol. 3, a005058 (2011). Background: Pharmacological management of patients with epilepsy is still a very challenging approach for the best outcome of these patients. When considering the appropriate treatment choice for patients it is necessary to take into account several factors that can influence the effectiveness and quality of life. Cancelling or changing treatment suddenly can lead to uncontrolled seizures. After a short period without seizures, many patients are tempted to abandon treatment. Cessation of treatment can be discussed after a seizure-free period for at least two years. Treatment should be discontinued gradually by reducing the dosage and constant supervision of the physician. This paper analyses briefly the general pharmacological and treatment methods in several forms of adult epilepsy. Conclusions: Management of epilepsy means more than observing the medication prescribed by the specialist. It is also important for the patient to maintain his general health status, monitor the symptoms of epilepsy and response to treatment and take care of his safety. Involvement in the management of one’s own affection can help the patient to control his condition and to continue his routine in usual manner. The objective of antiepileptic treatment is to reduce epileptic seizures to zero without intolerable side effects. New treatments should focus not only on reducing the frequency and intensity of seizures but also improving the quality of life of patients. Key words: patient, epilepsy, therapy and dynamics. The analysis of the specialized literature reveals that many issues regarding differential treatment of epilepsy require subsequent clarification. As far as we are concerned, we have designed and developed therapeutic recommendations, in our opinion, effective, supporting the results of treating epilepsy in its various stages, from premonition to status variants. In this context, the main element in the choice of preparations, besides the trivial clinical signs, was the use of sub-curative monitoring data, including repeated EEG examinations, which fixed the subjective response of patients. Choosing the best possible medicine or an optimal combination of medicines is sometimes difficult. The perfect antiepileptic should be long, nonsedative, well tolerated, very active in various types of convulsive and with non-harmful effects on vital organs and functions. In addition, it must be effective in various forms of active epilepsy and in treating underlying epileptic seizures and capable of restoring the electroencephalogram between seizures to its normal form [5; 9; 10; 18; 23; 24; 27; 31; 38; 40; 41; 43]. It is still debatable whether such a drug will ever be discovered, and especially one that will control all types of epilepsy. The thorough study of pharmacological properties allows us to appreciate which of the existing antiepileptics will meet the current requirements of our patients under study. Due to the fact that patients differ considerably after clinical response to known anticonvulsants and the possibilities of treatment with associated drugs are insufficiently and superficially researched, testing of more efficient substances including new combinations continues. Due to the modern medication, which benefits from a wide and sufficiently efficient range of specific drugs, a large proportion of the recurrent and the disabling sequelae of the disease can be prevented. The adverse effects of drugs are low, so many of the past patients who have been labelled for life by this suffering can now live a productive life. The actual ability to control this disease effectively prevents more of its severe consequences [12; 13; 15; 22; 29; 46; 50]. The syndrome of psychic state – the gradual expression of the disorders, the relationship between productive and negative alterations and the type of impairment of psychic processes. The dynamic characteristics of the psychic state – the duration of the disturbances, the changes in the presence of paroxysmal manifestations. of the evidence of side effects of favorable and unfavorable preparations. Somatic mood dictates and the route of administration of drugs: parenteral in gastrointestinal disorders, endonasal or transorbital (by electrophoresis) when parenteral administration is not preferred. Individual features of the patient with epilepsy (age, weight, response to anticonvulsant therapy and others) are also considered. It is often forgotten that lower doses are indicated for children and older people as the exchange of substances in them is slow and standard dose treatment leads to accumulation of preparations and adverse effects [6; 7; 14; 19]. We recommend the gradual increase of the doses, with the preference of the minimal effective doses of the drugs. All the above-described drugs are initially indicated at minimal doses, then the dose gradually increases until the first positive effects are displayed, the subsequent increase of the doses is made after a certain period of time to stabilize the positive effect. Complex treatment – it is necessary to prescribe unimoment of anticonvulsant remedies from different classes and groups in combination with non-medication methods. Polipharmacologic treatment has certain priorities in comparison with monotherapy because it addresses different links of the pathological process. It is important to avoid the multidimensional effects of many drugs, the doubling of the mechanisms of action and the predilection of some and the same psychological processes. Continuous therapy. The treatment of productive disorders is done until their complete jugulation (sometimes with the purpose of preventing relapse and longer), of the deficient ones by alternating the cures, with gradual modifications [28; 30; 34; 39; 42]. Criteria for the effectiveness of psychotropic remedies administered in epilepsy are those of improving the knowledge and behavioral processes. More differentiated treatment is based on syndrome of mental disorders. e) Route of administration: parenteral, internal, endo-nasal, transorbital (by electrophoresis), mixed. Duration of treatment: from 7 days to 4 months (nakom, fenibut). On the basis of this therapy it is also possible to indicate prophylactic doses of anticonvulsants. For different types of excitation (chaotic, twilight, delusional, manic, psychopathic, etc.) the support treatment are the sedative neuroleptics. Major tranquilizers, barbiturates and other anticonvulsants, may also be indicated sedative antidepressants. Hallucinatory delusions. More rational are antipsy-chotic neuroleptics. In the case of neuroleptic syndrome with caution are added corrective remedies. That adjuvant preparations use daytime tranquilizers, in depressive or anxious states are used antidepressants. Emotional productive disruptions. In the states of excitation are indicated predominantly sedative neuroleptics and tranquilizers, antidepressants – in depression, tranquilizers and antiepileptics – in dysphoria, in anxiety states -neuroleptics and tranquilizers. Productive districts nearby. Psychoparticular depressions are typically treated with “inor” euroleptics, preferably “behavioral correctors” or low doses of risperidone and tranquilizers; in neurotic manifestations (asthenia, obsessions, hysteria, hypocondria) are used tranquilizers and low doses of antidepressants [1; 2; 3; 4; 8; 11; 25; 26]. A new neurostimulator developed by engineers at UC Berkeley can listen to and stimulate electric current in the brain at the same time, potentially delivering fine-tuned treatments to patients with diseases like epilepsy and Parkinson’s. Researchers at Cortera Neurotechnologies, Inc., led by Muller, designed the WAND custom integrated circuits that can record the full signal from both the subtle brain waves and the strong electrical pulses. This chip design allows WAND to subtract the signal from the electrical pulses, resulting in a clean signal from the brain waves. In experiments lead by Santacruz while a postdoc at UC Berkeley, and by electrical engineering and computer science professor Jose Carmena, subjects were taught to use a joystick to move a cursor to a specific location. After a training period, the WAND device was capable of detecting the neural signatures that arose as the subjects prepared to perform the motion, and then deliver electrical stimulation that delayed the motion. “In the future we aim to incorporate learning into our closed-loop platform to build intelligent devices that can figure out how to best treat you, and remove the doctor from having to constantly intervene in this process,” she said. Although there are healthcare providers who specialize in epilepsy—namely neurologists and epileptologists—only 53%–67% of patients in the United States with active epilepsy reported recently (“in the past year”) seeing a neurologist or epileptologist. [5,6] Meanwhile, 86% reported recently seeing a general practitioner. Given that primary care providers are likely to see patients with seizures and epilepsy—some of whom may not be in the care of a neurologist or epileptologist—we would like to review the most current seizure terminology to help these clinicians better understand the different types of seizures and the importance of standardized terminology around seizures. Accurately classifying different types of seizures using the latest standardized terminology is essential for several reasons. First, it allows healthcare providers and patients to accurately and effectively communicate with one another about seizure type using the same clear language. Second, some medications or therapies are more effective or only approved for specific seizure types and not others, so that errors in classifying seizure type may lead to ineffective treatment. Third, some types of drug-resistant seizures can effectively be treated by surgery, whereas others cannot. Fourth, current and future clinical research studies may have certain inclusion and exclusion criteria based on seizure type, so that knowledge of seizure type would be important prior to enrollment. Finally, accurate classification would lead to a better understanding of seizure type burden in the population, allowing various clinical, research, and public health resources to be allocated appropriately. For centuries, seizures have been described using various terms. For instance, the terms “grand mal” (referring to seizures with bilateral tonic-clonic movements and loss of consciousness) and “petit mal” (seizures with behavioral arrest) have been used since the 1800s. With a better understanding of seizures and the advent of video electroencephalography (EEG), the International League Against Epilepsy (ILAE) published the first official classification of seizure types in 1981, introducing such terms as “partial vs generalized” and “simple vs complex.” However, many of these historical terms have been criticized as being imprecise or nonspecific (eg, petit mal may refer to many different types of seizures with behavioral arrest) or confusing and misleading (eg, the term “partial” might suggest that a seizure was not a “full” one). With increasing knowledge, several iterations of ILAE’s classification of seizure types have been published over the years to improve clarity, with the most recent being published in 2017. Figure 1. 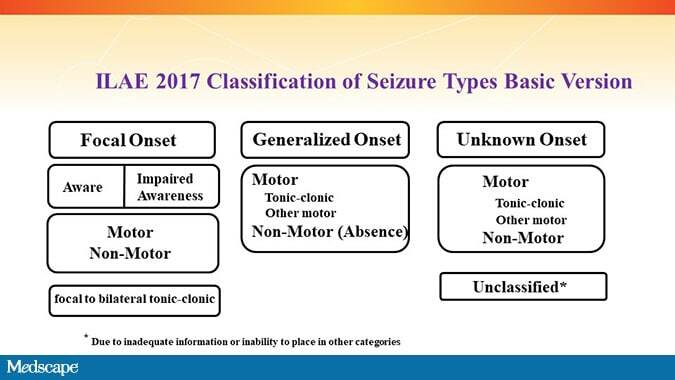 ILAE 2017 Classification of Seizure Types Basic Version. [7,8] From: Fisher RS, Cross H, French JA, et al. Instruction manual for the ILAE 2017 operational classification of seizure types. Epilepsia. 2017;58:531-542. Republished with permission. Researchers have known that severe or repeated brain injuries may trigger seizures in individuals for years, but why this is has remained a mystery. However, a new animal study published in the journal JNeurosci may provide some much-needed insight into the relationship between traumatic brain injury and epilepsy. The study, conducted by Stefanie Robel, Oleksii Shandra, and colleagues, identified a unique cellular response to repeated brain injuries in mice that appears to contribute to the development of seizures similar to those experienced by humans after traumatic brain injury. For the study, the team induced brain injuries in mice that are analogous to traumatic brain injury or concussions in humans. While observing the mice, the researchers also noticed that a unique group of astrocytes in the brain responded atypically to these injuries. The mice that showed this response also developed spontaneous recurrent seizures within one month. In the case of severe traumatic brain injury, astrocytes may change to form a scar. This is important for allowing the brain, but these “scars” have also been linked to epilepsy. However, this scarification does not happen as a result of more mild traumatic brain injuries or concussions. Instead, the researchers observed that the astrocytes responded in different ways almost immediately after the injury which were linked to later seizures. At first, the team assumed the astrocytes were “dead” because they were no longer producing the proteins that characterize astrocytes. However, the team noticed they were in fact still working, but not responding to the injury in a unique way. “Our experiments show a strong relationship between changes in astrocytes and the eventual occurrence of a seizure,” says Robel, an assistant professor with the Fralin Biomedical Research Institute and the School of Neuroscience in Virginia Tech’s College of Science.